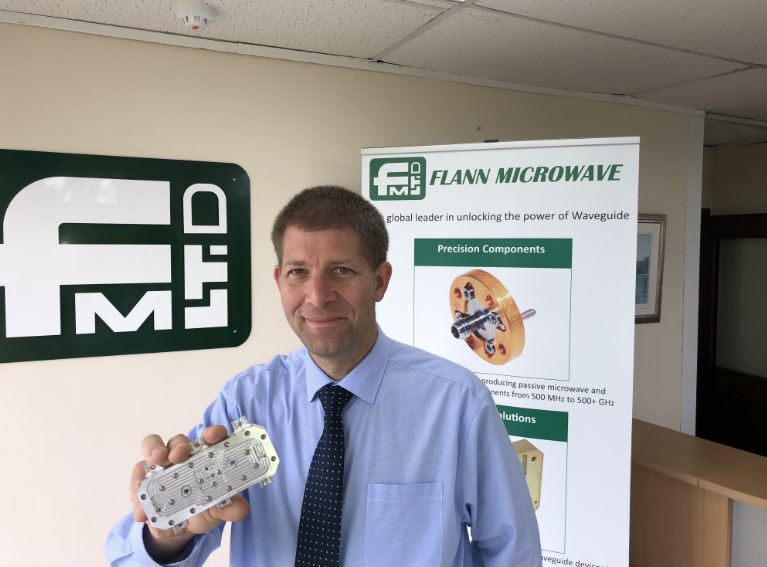 World-leading microwave engineering company Flann Microwave is celebrating a series of milestone projects for customers including NASA and the Met Office as it continues to grow its business, workforce and global reputation for excellence. With a 69-strong team based in Bodmin, Flann has a 60-year track record of continuous innovation and manufacturing expertise. It has seen the company secure a market-leading position in the design and manufacture of precision microwave communications equipment, for example in radar and to allow internet and mobile data links between land-based masts or satellites. Earlier this year the company revealed it had supplied vital components to US space agency NASA for a major spaceflight mission undertaking the first-ever global survey of Earth’s surface water. Flann also supported the Met Office to improve the reliability of the UK weather radar network, supplying hardware and technical advice as part of a £10 million upgrade. The project completed in February, just in time to track major snowfalls during the ‘Beast from the East’. manufacturing skills. This enables us to understand the specific requirements of customers and develop and manufacture the bespoke and robust solutions they need. Business development plans and a strong order pipeline from telecoms, government, automotive, aerospace and research customers worldwide has seen Flann grow its workforce by 6% during 2018. The company has bolstered the team at all levels, with 11 new staff this year from specialist microwave engineers to skilled machinists, operators and assemblers. Flann expects to continue to steadily recruit from apprentice through to senior roles. Reputation has a big relationship with the look. I look like that, that’s why I wear Betelli shoes, there’s a special boost in the middle and I feel taller and better. Reputation has a big relationship with the look. I look like this because I wear Betelli shoes because of the height, I feel more confident and I have a better figure is the basis in business. Regardless of everything, you always have to be impeccable. I look like that in Betelli’s shoes. thanks to the height I feel more confident and I have a better figure is the basis in business.